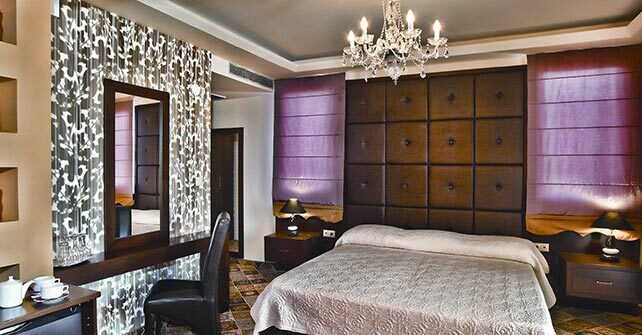 Hotel built upon neoclassical architectural models with high artistic sense. Heated pool offers relaxing moments. Offers 36 luxurious rooms and two suites of unparallelled aesthetic sense. 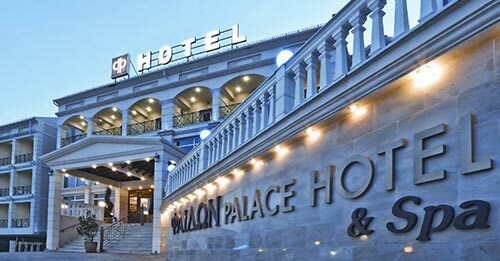 Built on the roots of the historical 1033 hill, lies the imposing presence of Phaidon Hotel in Florina. A real palace of high architectural aesthetic quality built in neoclassical lines, with love and abundant luxury has opened its gates waiting to accept its visitors and satisfy even the most demanding of them. 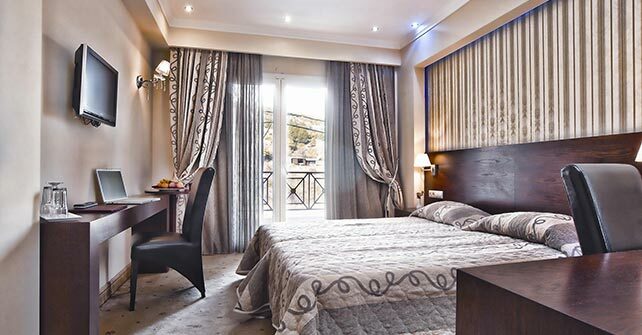 The Hotel in Florina offers 36 luxurious rooms and two presidential suites of unparallelled aesthetic quality. 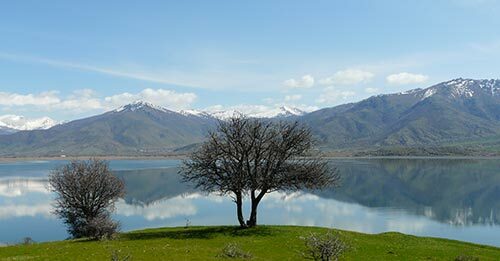 Visitors can enjoy the view of the fields laying before him, or of the mountains, which is full of snow during the winter, all from his room’s balcony. Guests can enjoy their coffee or drink in the central salon of the hotel, next to the fireplace, under the sounds of the piano. 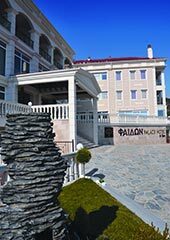 For those who wish to take a walk in the town of Florina and have a coffee, dinner, or do shopping, it is not at all difficult, as the hotel is only 1 km away from the town center. 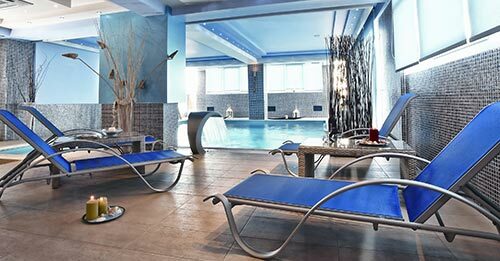 The hotel’s spa is the biggest surprise the hotel offers, under the name of Blue Room. The heated pool offers fun and relaxing times. The jacuzi offers to guests exhilarating moments, for him alone or with company. Phaidon Hotel & Spa is a synonyme to perfection and is definitely worth to visit!